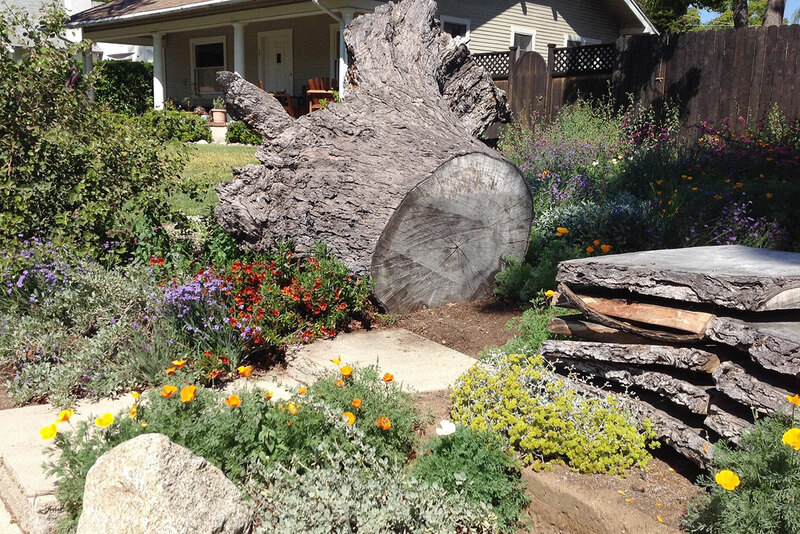 A maple tree lost to oak root fungus became an opportunity to renovate the front yard in 2014. 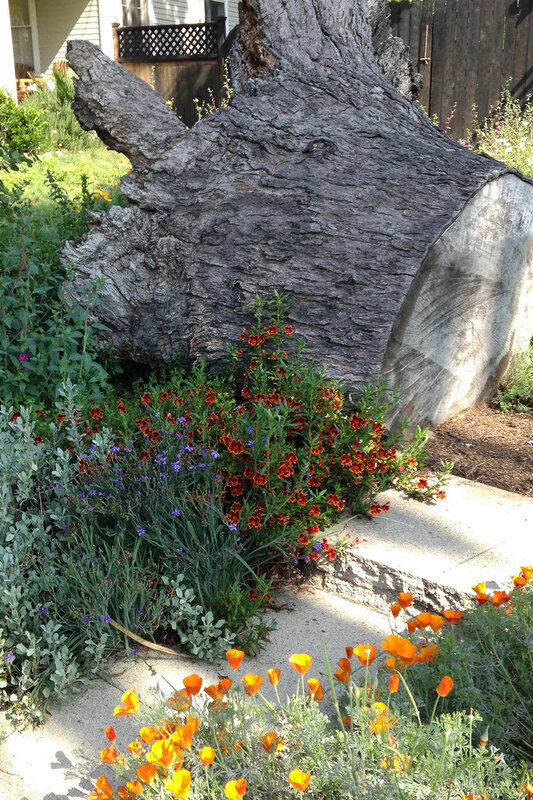 The fallen trunk became sculpture, and native plants were selected for disease resistance and vibrant color. 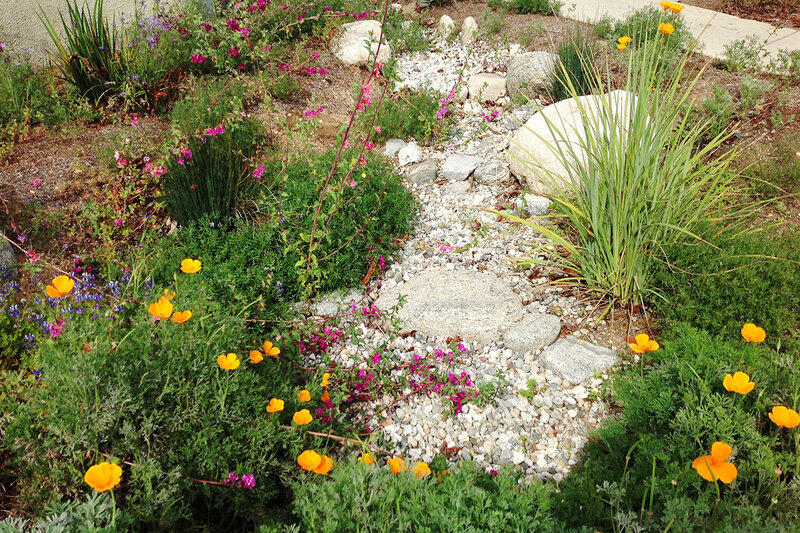 A dry streambed runs along the driveway to direct and capture runoff. 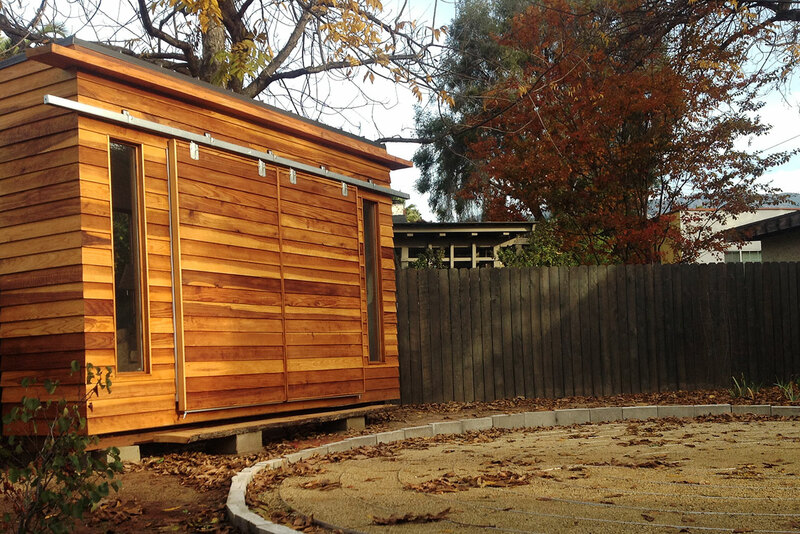 The newly renovated back yard includes a labyrinth and writer’s retreat. 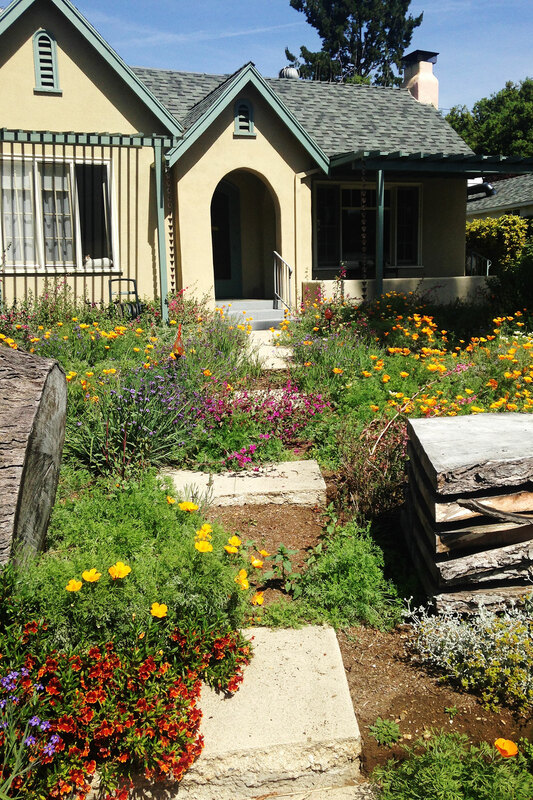 Throughout the property, upcycled hardscaping merges with interesting and varied plants. Design: Scrub Jay Studios. Photography: Debra Burks Hori.